In 1948 the most ambitious and technologically advanced aeronautical design project yet undertaken in Australia was commenced by the Commonwealth Aircraft Corporation (CAC). This project was the CA-23, twin-seat, all-weather fighter. • Provision for a crew of two - pilot and the operator for the radar gear. The plan was for this aircraft to be a heavier, all-weather stable mate to the North American F-86 Sabre fighter aircraft also planned to enter service as the RAAF’s primary day fighter – this would eventually enter service in 1953 as the CAC CA-27 Avon Sabre. Following initial studies into designs similar to or even based upon versions of the Grumman F9F-2 Panther or Hawker Seahawk, by late 1948 the plan was now centred upon an indigenous design. This was a large twin-engined (Rolls Royce Tay engines) aircraft with a thin 40° swept wing. The two crew were accommodated in a tandem cockpit. The jet intakes were located in the wing roots. Following a year of detailed design, the aircraft had acquired a nose intake and was now to be powered by two Rolls-Royce Avon engines (thus increasing logistics supportability with the CA-27 Avon Sabre and the planned English Electric Canberra B.20 bomber) mounted horizontally. Weapons were to be four 30mm ADEN cannon with provision to also carry Aerial rockets (in either wing pods or retractable under-fuselage tray) or some of the new air-to-air missiles then undergoing trials (candidates considered were the de Havilland Propellers Firestreak or Hughes Aircraft AAM-A-2 Falcon). Provision was also made to fit an Aircraft Interception (A.I.) 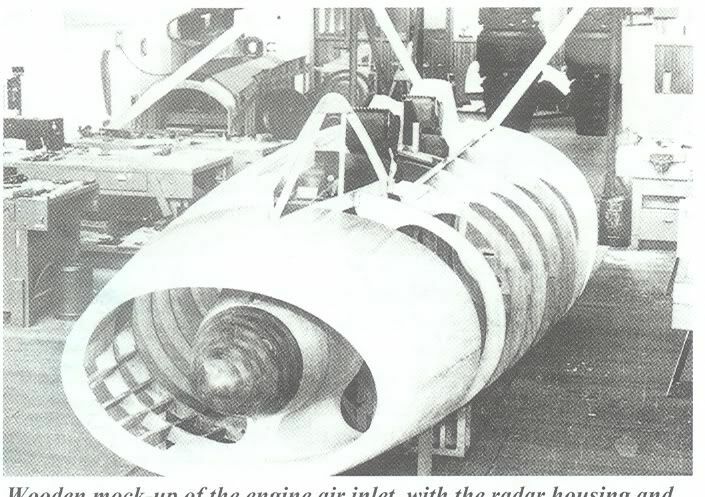 radar in the centre body of the intake – this was planned to be the AN/APG-36 all-weather radar. • That overseas developments were likely to surpass the design and thus be more cost effective acquisitions. The decision to terminate the CA-23 was not well accepted by Lawrence Wackett, the head of CAC. Knowing that the chance of overturning it was unlikely (though this was still attempted), he was determined to ensure the work done so far was not wasted. • Developing it as a ground attack and reconnaissance platform. This last option quickly became the most favoured option – if for no other reason that it offered the opportunity to directly challenge the Canberra bomber being produced by CAC’s primary rival in Australia, the Government Aircraft Factory (GAF). However, the design as it currently stood did not lend itself to this new role easily. For one, the swept, almost delta wing would provide an extremely rough ride when operating at low level. It also limited the size of the warload able to be carried and demanded an extremely long take off run. At this point a fortuitous meeting took place. Immediately after the war the British designer, Barnes Wallis had started work on variable geometry (VG) wings as a means to maximise the economy of supersonic flight. Initial work was on the military "Wild Goose" project, then the "Vickers Swallow", intended to achieve a return flight from Europe to Australia in 10 hours. Frustratingly, the UK government backing for this was withdrawn. Wallis and his team then presented their work to the Americans seeking a grant to continue their studies but none was forthcoming. However, whilst in the USA he ran into Lawrence Wackett at North American (Wackett was there in relation to the Sabre whilst Wallis had just presented information on the VG technology). During a lunch together, Wallis told Wackett about his VG developments. Wackett immediately saw this technology as a possible solution to the desire to develop the CA-23 as a ground attack and reconnaissance platform. He quickly invited Wallis to visit CAC in Melbourne. Over the next 6 months, the CAC team studied the VG technology and studied how to incorporate it into the CA-23. 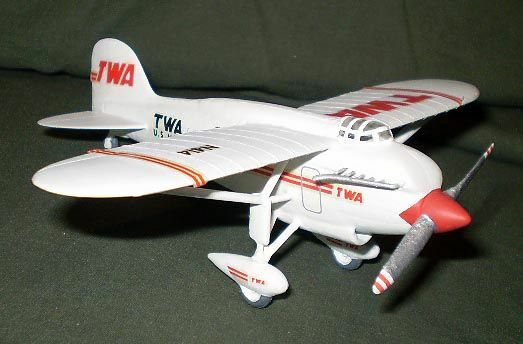 Eventually in January 1954 the new CA-23B design was presented. 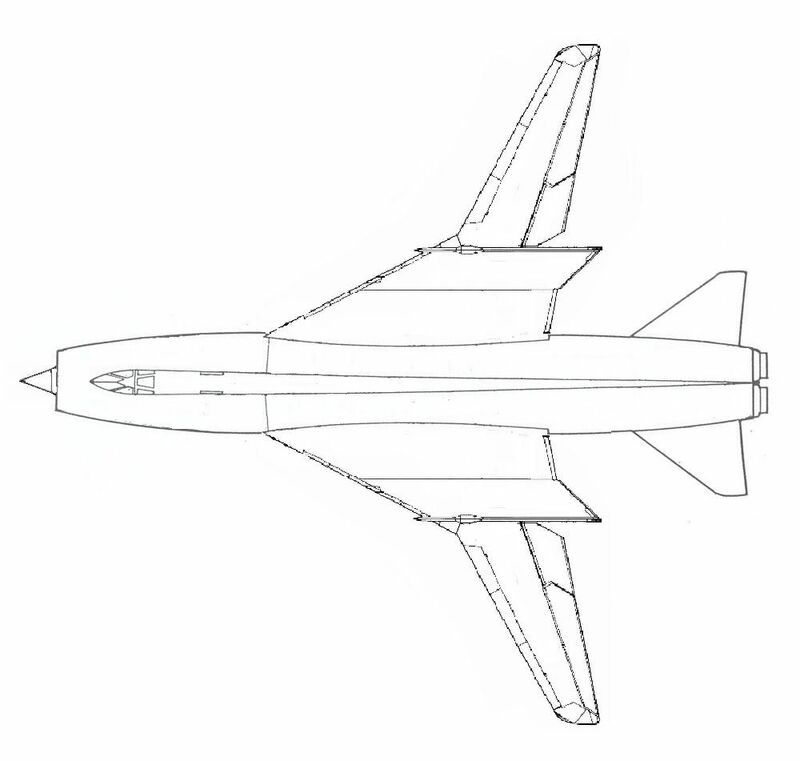 This kept the basic fuselage design with bi-furicated nose intake, tandem crew seating and twin Rolls-Royce Avon engines side by side (though these were now afterburning 301R versions). Some area ruling of the fuselage had also been undertaken given it a slightly ‘coke-bottle shape. More prominent though was the wing which was an entirely new design. This had fixed inner portions with movable outer segments which could be swept to 28°, 45°, or 62° along with extensive leading-edge slats and trailing-edge flaps. It was estimated that the new design should be able to achieve in excess of Mach 1.8 at altitude and more importantly greater than Mach 1.1 at Sea Level. It was also designed to carry approximately 12,000 lb of bombs and other ordnance (in addition to two 30mm cannon) whilst having a range of in excess of 2,000 nmi. Wackett like what he saw and approval was soon given to produce a single prototype using a combination of funds and resources already allocated to CAC by the Government (who had approved the production of a single ‘standard’ CA-23 as a trials aircraft) and internal company funding. On 17th October of the same year, the CA-23B was rolled out. It underwent its first flight two days later on the 19th and actually attained the speed of Mach 1.2 on its maiden flight. 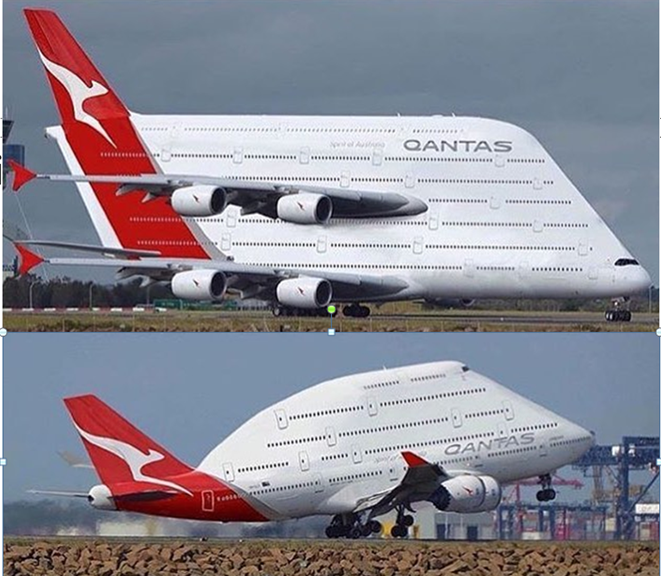 This new design was now presented to the Government and RAAF. At first there was anger that this design was not what had been requested. There was even mention of charging Wackett with fraud for inappropriate use of Government funds. This was soon overlooked though in the light of the performance offered by the CA-23B. Acquisition of the new aircraft as a possible early replacement for the Canberra bombers was now considered – a consideration Wackett was more than willing to encourage. Finally, in February 1955 the Minister of Defence announced that the acquisition of EE Canberra bombers would cease and that 48 CA-23B Jigaru (Aboriginal for thunderstorm) strike aircraft would be acquired instead. However, unwilling to deprive GAF of work, the minister also explained that the original orders would be honoured but that the aircraft were to be put up for sale as the CA-23Bs entered service. Buyers were soon found with half going to Pakistan and half to Taiwan. The first of the new CA-23B Jigarus entered RAAF service in June 1957 with No. 1 Squadron. They quickly received praise from the crews who were now the envy of the Sabre crews. It wouldn’t be long before the Jigaru crews got the chance to prove their new mounts. In mid 1963, as part of its response to the ongoing Indonesia–Malaysia confrontation (also known as Konfrontasi), the RAAF deployed No. 2 Squadron and its CA-23B Jigarus to RMAF Butterworth. Over the next 12 months they conducted a number of operations primarily in support of British, Australian and allied troops. Meanwhile to the West, another conflict was rapidly developing – this time in Veitnam. What had begun as a small commitment of 30 men in 1962 was now rapidly growing to a full blown military commitment – the largest since the Korean war in fact. By April 1966 1st Australian Task Force (1ATF) was established in Phuoc Tuy Province, based at Nui Dat. As part of this, the RAAF contingent was also expanded, growing to include three squadrons—No. 35 Squadron, flying Caribou STOL transports, No. 9 Squadron flying UH-1 Iroquois battlefield helicopters and No. 2 Squadron flying their CA-23B Jigarus. The Jigarus flew a large number of bombing sorties (including many precision strikes using AGM-12 Bullpup guided air-to-ground missiles), and two were lost – one to a SA-2 SAM and the other when the crew inadvertently flew into a mountain during bad weather. Finally in 1973, the Australian forces were withdrawn. This coincided with the RAAF ceasing Jigaru operations. Over the last 15 years, they had proven themselves to be exceptional weapons platforms, and were well liked by crews. Unfortunately, constant operation at low level had resulted in accelerated fatigue of the airframe and wings necessitating retirement. In their place, the RAAF now acquired the somewhat similar F-111C. Not a lot on it around at this stage - I have a little info on it which I tried to incorporate into the story. I do however have a model kit of it! 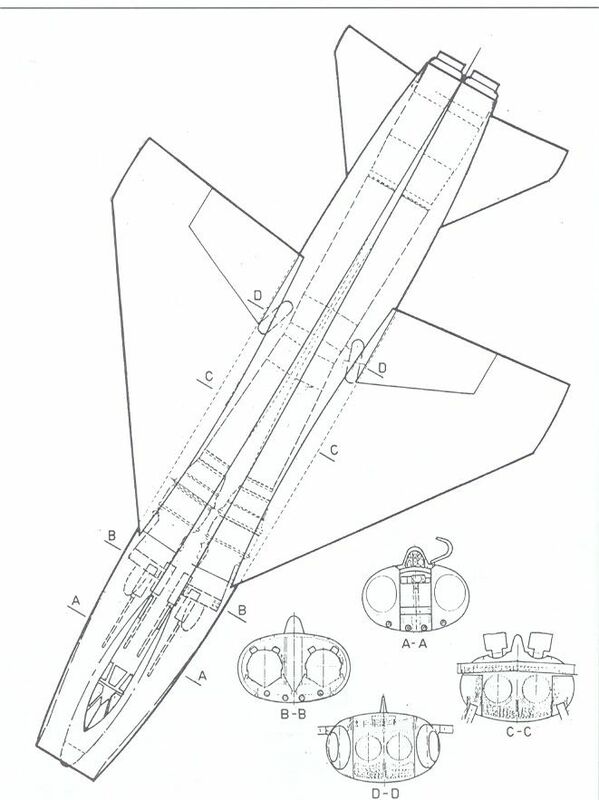 I keep wanting to do a modified version with an inlet closer to that of the EE Lightning and allowing a larger radar antenna to be fitted/. So no follow on FAW version to supplement the Sabre or a fighter / attack variant to replace everything, turning CAC into a southern hemisphere SAAB? Sorry for the necromancy but this oldie caught my eye. Uncle Les you are a legend, dare I ask what that is behind the anti-shipping CA23? 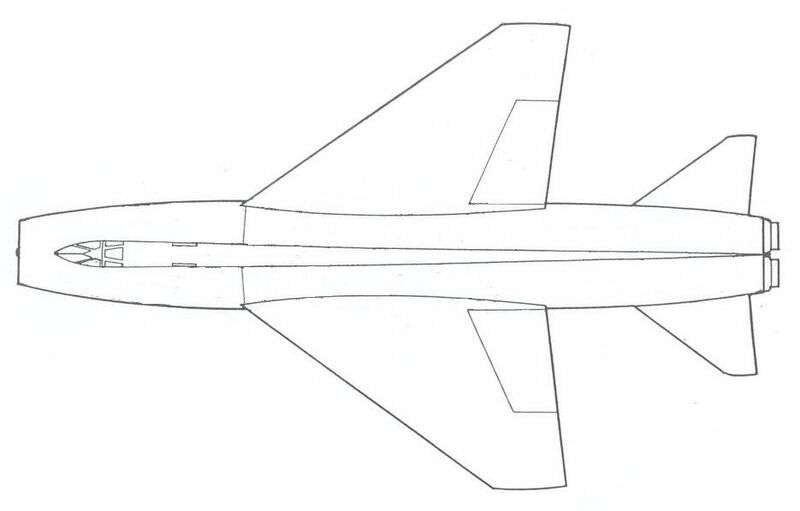 An F/A-18 with shock cones or an earlier Northrop development, i.e. Cobra? Thanks ! 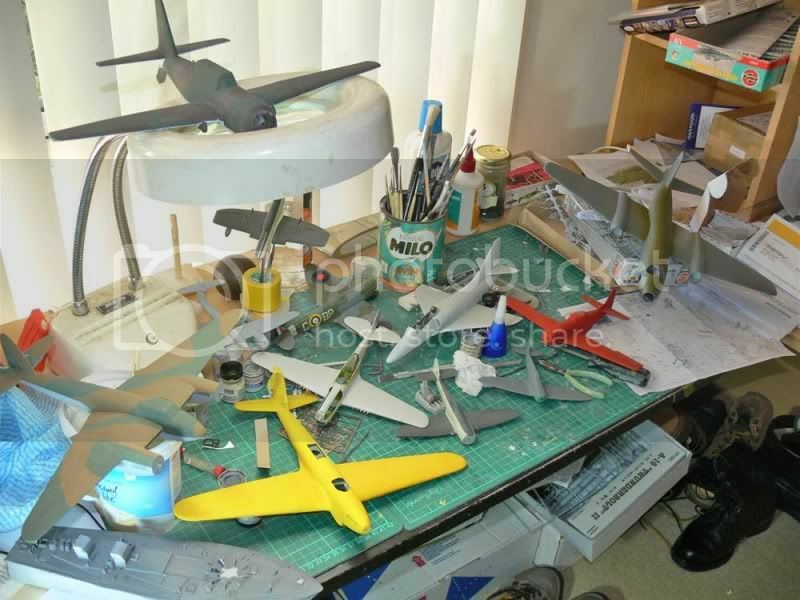 At the risk of hijacking a thread here's an explanatorical Northropness photo showing some finished airframes in 1/32 including the P530 in question. There's a P600 & YF17 and more Hornets in 1/32 waiting for me to get inspiration to continue/finish ! Is the original backstory for real? It seems highly plausible. There is an element of truth…but only up until the termination. After that it is all fiction. One of your CA-23 kits that I have is earmarked to be converted into the VG version in this story. The other will be completed much as your first one. I would love a 1/48 one…. Thanks for that Greg, I'd never heard of the CA-23 until I saw your post. Very much an Oz TSR2/CF-105 Arrow, wasn't it? One of your CA-23 that I have is earmarked to be converted into the VG version in this story. The other will be completed much as your first one. Almost finished with my CA-23! Did the all white version and it is free-standing after hollowing out the tail and main fuselage section. Even did the interior with the pilots. Sanded it smooth, finished the painting, inserted the pilots and planned finish this weekend. Alas and alac, went to complete the canopy and the nose broke apart during the cutting! Then to my frustration, it seems my cutting was too high as the canopy was too narrow over the cockpit . . . cut too high and excluded the ridges. Can you send me another or two, please? I'll email you the details, but wanted to post here in case anyone else is working on one so they don't make my mistake.